Drawing from twenty years of experience as an instructor of movement, including nearly ten years as a full-time teacher of yoga, Kate seamlessly weaves together elements from the tradition of Kripalu Yoga with mind-body exercises, movement training & conditioning, Ayurvedic concepts, and meditation techniques to create a rich and evolving yoga experience enjoyed by both long-time practitioners and brand-new beginners. Kate values a straightforward and consent-based approach to yoga teaching, where students are offered a number of choices in the classroom and the freedom to execute them. This fosters a learning environment where students have the ability to grow and evolve at their own pace and in their own direction. She favors the sometimes messy process of embodying integrated movement skills rather than merely replicating them in the classroom, a process which both research and experience has shown to lead to more favorable and longer lasting results. Kate completed her initial professional trainings at Kripalu Center for Yoga and Health, where she also returned several times to assist in the advanced yoga teacher training program. 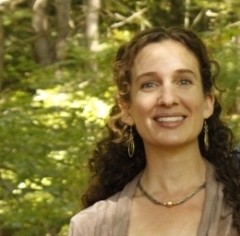 Following a years-long, intensive period of asana, pranayama, and meditation practices in the Kripalu tradition, she began an in-depth study of anatomy and kinesiology, and also began to incorporate evolving, evidence-based, and trauma-informed practices into her teaching with the aim of helping each to student work toward clarity, health, and vitality in ways that are as applicable in day-to-day life as they are on the yoga mat. Kate has been influenced by the teachings of Amy Matthews, Jonathan Foust, Dr. Fritz Smith, Matthew Remski, and many others. Kate values accessibility, and strives to create an inclusive and welcoming environment at the studio, where work-study positions are available for those with financial need. She also serves as a volunteer practitioner and adviser at the People’s Medicine Project, an organization offering free alternative health services to low-income residents in Greenfield, MA. 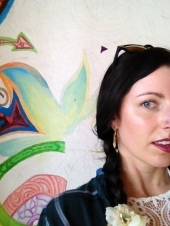 Kate is a certified practitioner of Zero Balancing, a bodywork modality that draws from the wisdom of osteopathy, acupuncture, and yoga as it works to cultivate a harmonious balance of structure and energy in the human body. She incorporates this wisdom into her yoga classes and offers individual bodywork sessions in the lovely treatment room here at the studio. She also offers individual movement training & yoga sessions as well as mentoring sessions for yoga teachers. To learn more about classes, or to schedule a bodywork or individual session, please call 413.475.2441 or email at shelburnefallsyoga@gmail.com. Melissa Stevens, M.Ed took her first yoga class in 1999 and began teaching in 2006. Her training has been multi-disciplinary, leading her to explore various traditions and styles of yoga over the years. Since 2008 Melissa has been immersed in the deeply healing and integrative approach of Embodyoga®, a style pioneered by Patty Townshend of Yoga Center Amherst. And most recently she has been studying the concepts of Viniyoga under the guidance of her dear friend and teacher, Libby Volckening. Melissa’s intention is to share the depth and expansiveness of these teachings both deliberately and spaciously, creating a light-hearted and safe space for each student's unique experience to unfold authentically and organically. When she’s not teaching yoga, Melissa is likely to be found making a mess in the kitchen or getting dirty with her three-legged hound dog, Emmanuel. 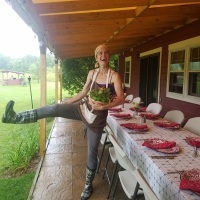 Jillian Soucie, RYT 200, was born and raised in Massachusetts leaving only to pursue her B.S degree where she then came home to beautiful Western Massachusetts where she completed the Embodyogau00ae teacher training under Corinne Andrews and Patty Townsend. 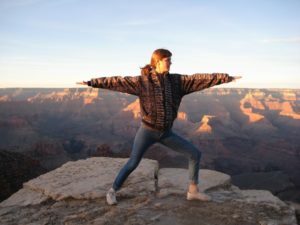 She was first introduced to yoga as a young gymnast but it wasnu2019t until college she found herself incorporating yoga and breathing techniques into her daily life. The more frequently she attended classes the more passionate she became about bringing joy to everyone she met. She is Yoga Alliance registered and is excited to continue to learn, teach and share yoga with her students. She truly believes yoga is for every BODY and holds a sacred space for every student to grow, practice and learn together. 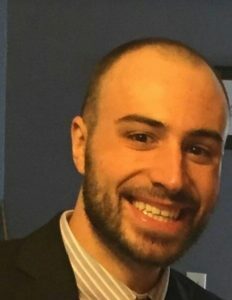 Daniel has dedicated his life to the study of personal development and pain-free movement. His teaching is informed by two and half years of living and studying at Kripalu Center for Yoga and Health in Lenox, Massachusetts. Pulling from a vast array of modalities and lineages, he embodies his unique approach with a light heart and a warm smile. His classes are varied and applicable to each class member, as well as seasonal and supportive to a climate of change, growth, and new ideas. Molly received her 200-hour RYTT at Yoga effects in NYC in 2009. Since then she has taught in both New York and San Francisco, as well as throughout Europe. Molly also holds an MA in Contemporary Dance from The London Contemporary Dance School. She has been on faculties at The College of San Mateo and Sonoma State University teaching dance, yoga, pilates and movement composition. She works from an anatomical approach allowing for safe movement that can allow one to live in a more aligned and physically aware body. 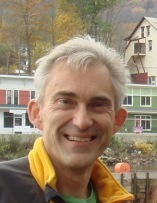 Steven Howland is a certified instructor with the Tai Chi for Health Institute. He has used Tai Chi and Qi Gong as mindfulness training and gentle exercise for several years and is delighted to be able to share the benefits of this ancient practice with his students. He has studied Tai Chi for Health with Dr Paul Lam, Deborah Yaffee, Julie Oberhaus and Yang Style Tai Chi Chuan with Mark Deavers. Kate Peppard trained in a vigorous vinyasa flow style, but has allowed for her teaching style to evolve towards gently rigorous and balanced flow, linking breath to movements and allowing for the creation of inner space; she takes opportunities to incorporate restorative yoga elements where and when possible. Kate is a firm believer that when yoga is incorporated into your life, it gives us access to our authentic self and life path(s). In addition to yoga, Kate loves: taking care of animals, gardening, putting up food, walking in the woods with her dog, stacking wood, saunas, and cooking with cast iron. Anna Meyer is a 200 hour certified Kripalu yoga instructor. Anna has maintained a life long practice in movement modalities and has been teaching yoga classes throughout the Pioneer Valley since 2010. Anna’s classes incorporate breath work, invigorating movement, and thorough relaxation. Having been a practitioner and student of yoga philosophy, discipline and spirituality since her youth, Anna enjoys sharing the gifts she has been given by offering respectful, insightful, and educational yoga classes. Hi Everyone! 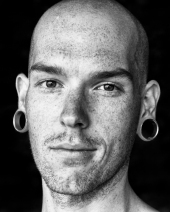 John here, I’m a Kripalu style yoga lover and new 200-hour instructor here at Shelburne Falls Yoga. I love teaching gentle and intermediate yoga classes and I am beyond excited to be stepping into the role of instructor at SFY and join the amazing people here as we support each other’s commitment to breath, movement, and meditation. I see yoga and meditation as a transformation that takes times time, patience, love and commitment. My yoga classes follow a formula of Breath, posture, sustain, relax, and transition. Some top reasons I practice and teach in this way are: it builds strength and rebalances over stretched and over tight muscles, it allows intimate new awareness’s of breath and body to happen and gives the practitioner an opportunity to really feel and sense the energetic qualities of poses. I will be guiding classes here in 2019 and I look forward to meeting and seeing you on the mat! Narieka Masla is a dancer, performance artist and certified yoga instructor. She has been deeply inspired by the support and healing that both her yoga and dance practice has offered her life, and feels passionate about sharing and practicing mindfulness and embodiment with others. She formally began her yoga studies at Naropa University in Boulder CO and received her yoga certification from Yoga Veda in Alachua Florida. Narieka loves the abundance of lessons a yoga practice has to offer the everyday experience, as well as the support it provides around healing and growth in relationship to oneself and to others. In her classes she is especially dedicated to engaging with the practice as an avenue for developing agency and choice, resilience and strength, and learning to listening to the body and its subtle messages. As a teacher Narieka sees herself as a holder of a practice container rather than a dictator of space. She loves the solid structure yet openness and freedom that yoga provides. With that in mind, most of Nariekas classes are vinyasa (flow) based with a focus on linking the breath to movement. Pam Roberts is a writer, artist and certified Kripalu yoga teacher who is also certified in Yoga of the Heart Therapy for Cardiac and Cancer patients. She is one of the teachers for the studio’s co-op yoga class, and likes to end the practice with a poem. Pam teaches Gentle Yoga for Cancer- a free weekly class for people affected by cancer, a program of the Oncology Department of Baystate Franklin Medical Center and offered at the Greenfield Y. She also leads Spirit of the Written Word writing groups for people with cancer and for the general population. 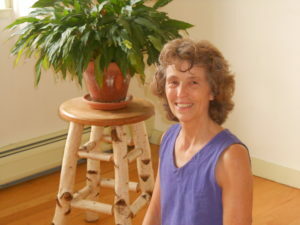 Pam has been a long time student at the studio and has been teaching yoga since 2011.